Padme – Here and Adorable! Home » Padme – Here and Adorable! 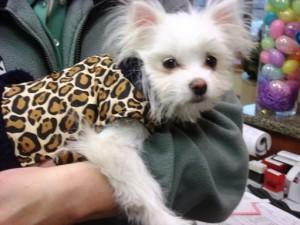 This chic Maltese-Chihuahua mix is Padme. She was here for spaying, and to show off her jacket! That is one gorgeous pup!